More and more leaders in the Psychology and Medical fields are recognizing alternative therapies that work with the body’s energy field as valid treatments for conditions like anxiety, OCD (Obsessive Compulsive Disorder) and PTSD (Post Traumatic Stress Disorder). In this article Dr. Joseph Annibali, a chief psychiatrist and author of Reclaim Your Brain, recommends several alternative therapies including EFT or Tapping which I have found effective for helping people find relief from these types of mental disorders as well as dramatically reduce stress, lose weight, reduce pain and help aid healing of many health conditions. 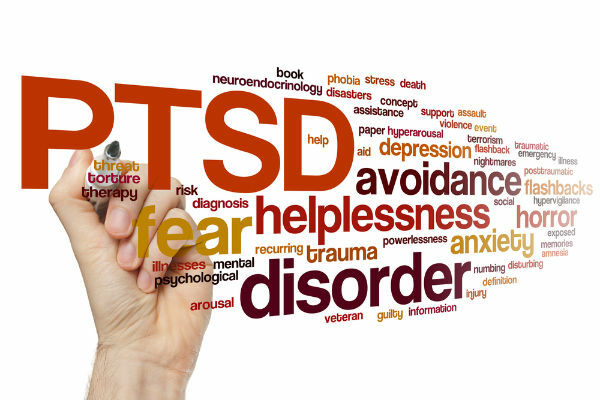 Many sufferers of mental disease would describe their illness, whether it be post-traumatic stress disorder (PTSD) or anxiety, as a loss of control over their mind. Regaining that control seems impossible for those in the deep trenches of battle with their disease, but Dr. Joseph Annibali, a chief psychiatrist and author of “Reclaim Your Brain,” said there is hope. Dr. Annibali spoke with FoxNews.com about several mental diseases and the techniques one can use to fight back. One example is battling anxiety through the heart, which has more than 40,000 neurons that can regulate the body’s physiology including its emotional state. Through meditation techniques, patients can achieve a “coherent” heart rate, which has a gradual increase and decrease. This can evoke calmness and an emotional balance which can ease the stress brought on by anxiety. Obsessive compulsive disorder (OCD) occurs when the mind is fixated on a worrisome thought and the patient feels the way to assuage the growing anxiety is by performing a certain action. For example, repetitive washing of the hands to stop the thoughts of getting sick. Annibali says one of the most effective ways of “reclaiming the brain” from OCD is to know thoughts are only thoughts, and that they aren’t necessarily true; just because you think your hands are contaminated doesn’t mean that they really are. “If I can step back, tolerate the anxiety and maybe distract myself with something else or do something pleasurable the anxiety might go away,” he said. In cases of severe OCD, where techniques like this might not work, Annibali said medication may be necessary. With PTSD, there are some techniques that Annibali was skeptical of at first, but now believes are effective. Emotional Freedom Techniques (EFT), or “tapping,” is one example. Annibali said that the genesis of EFT is actually from acupuncture in which needles are placed into certain meridian points in the body to achieve a desired outcome. With EFT, patients tap these points and repeat a positive affirmation. “We believe that this turns down excessive activity in the autonomic nervous system,” Annibali said. Similar to EFT is Eye Movement Desensitization and Reproccessing (EMDR), which includes moving the eyes from side to side. This process seems to activate the processing centers in the brain that are “online” during REM sleep. Who do you know that is plagued by a mental disorder mentioned in the article? Contact me to learn more about using EFT to help resolve OCD, anxiety and other mental or health problems. Next PostHow to Keep Up Your Motivation and Enthusiasm.